The Sportsman of the Year issue of Sports Illustrated features a photograph of Peyton Manning by SI staff photographer John McDonough. Peyton is having an incredible year. One more brilliant season in an amazing career. Thirty seven years old. Fifty-five regular season touchdowns. 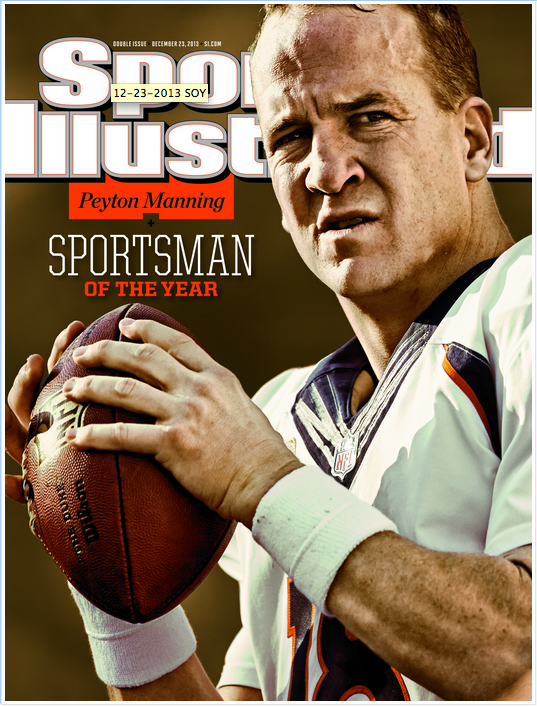 I shot Peyton’s first SI cover. In New Orleans, on a racquetball court I converted into studio. We were in and out quickly. He was perfect. But that wasn’t the first time Peyton was in front of my camera. 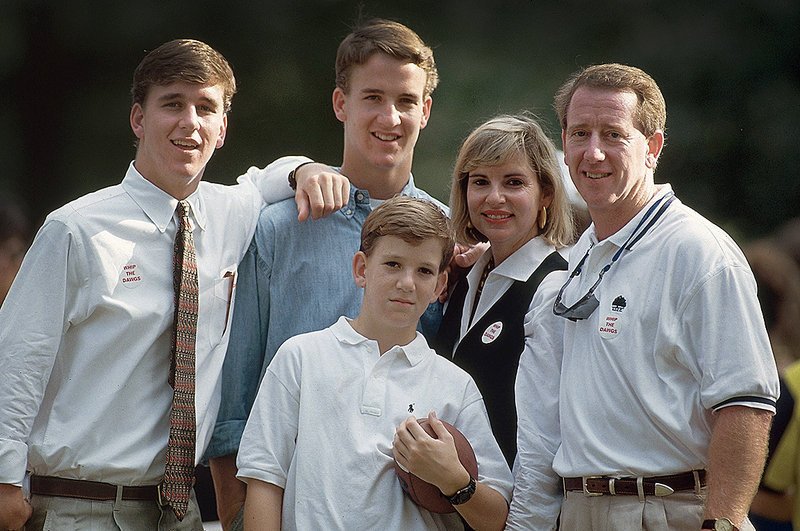 I’ve been lucky to photograph him – and the rest of the Manning family – many times. 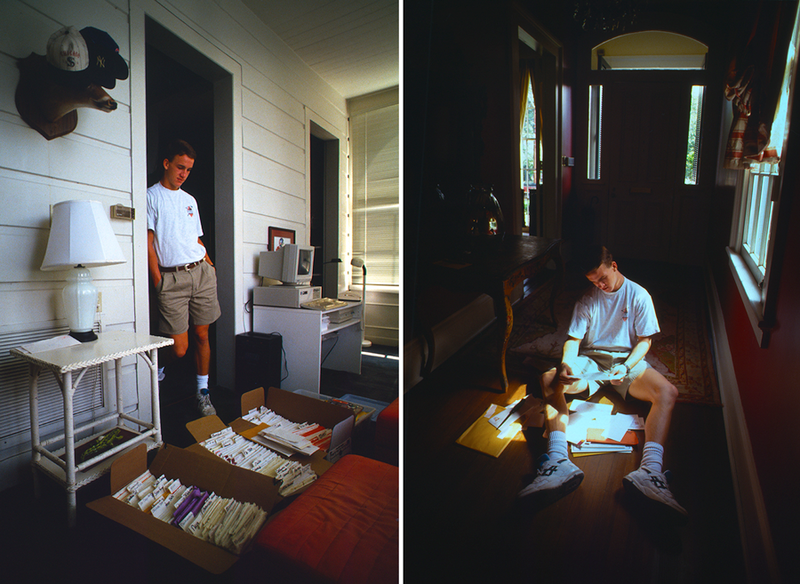 My first shoot with Peyton was years before, but he wasn’t the main subject of that story. His dad, Archie, was. It wasn’t the second time he was in front of my camera either. 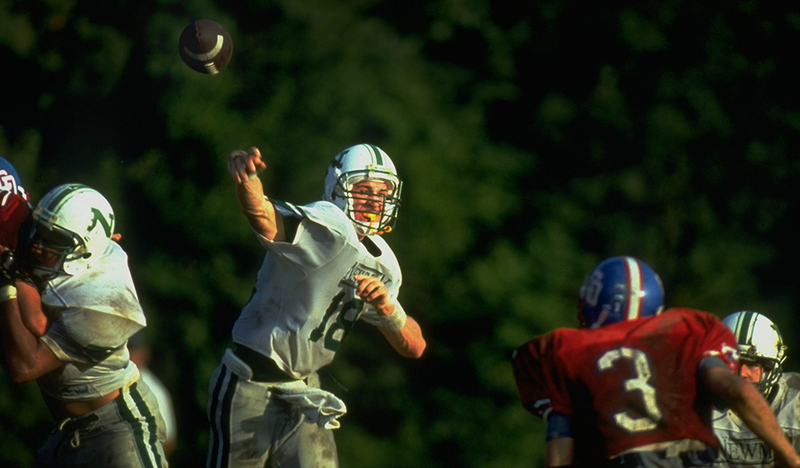 That happened when when I went to New Orleans to do a piece on Peyton, the most sought after recruit in the country. I went to one of his football games, had breakfast with he and his mom, and watched as he sorted through seemingly endless boxes of recruitment letters. 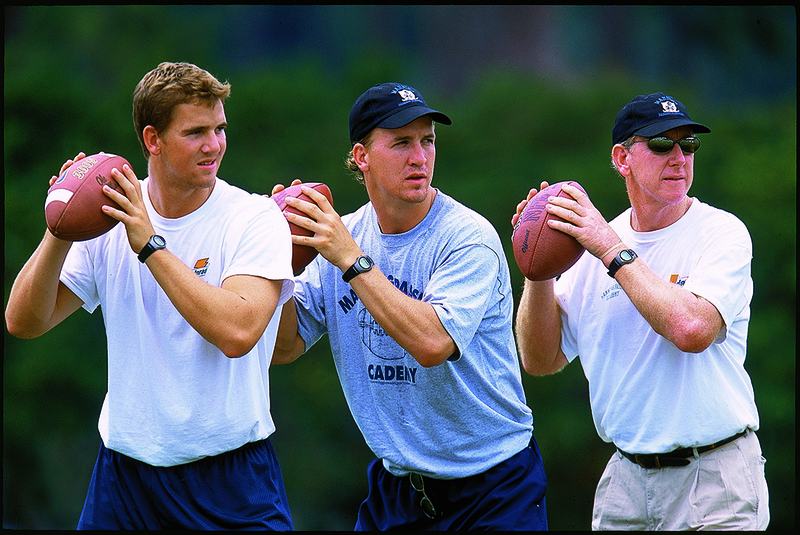 I was in Oxford years later doing a story on Eli, the youngest Manning brother. Peyton was in town, and we agreed to meet in the Grove — the legendary center of the Ole Miss campus. A place special to all of us. Walking through the beautiful cluster of trees, Peyton turned to me and said “You’re the professional Bill, just remember that I am taller.” Eli smirked and I laughed. It was never in doubt. 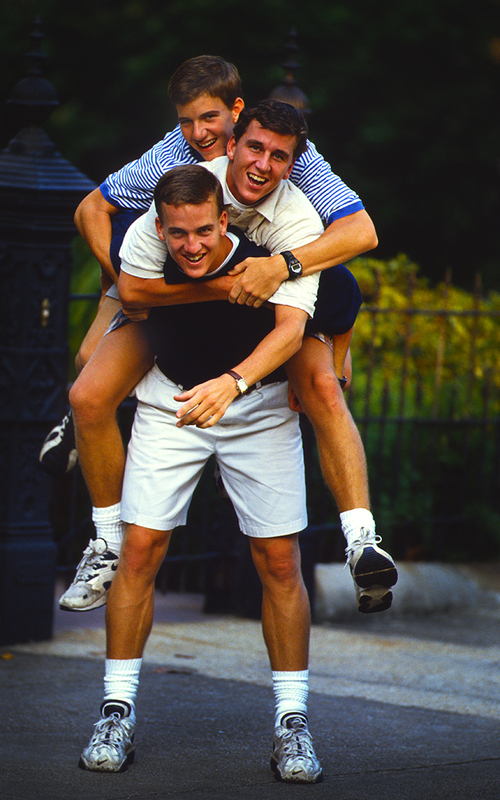 As usual, Peyton came prepared, wearing cowboy boots with heels, and Eli was in running shoes. Classic. McDonough I have known much longer. Since I was 17 actually, and that wasn’t yesterday. I was a freshman at Arizona State, where John was getting a second undergraduate degree. Separated by a continent, we’ve stayed close with constant conversations about photography, music — storytelling. When we were kids, he would spend hours making a single print for reproduction — most photographers would be satisfied with a try or two. Not John, just like now everything he shot, it had to be perfect. I value his friendship and respect his immense talent and drive. To see more of Bill Frakes’ work go to his website and Altpick page. 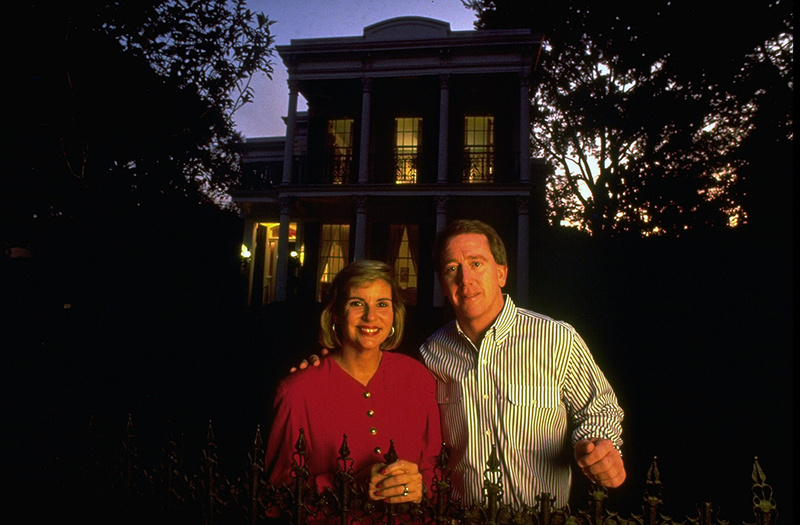 This entry was posted in Altpick, Photography and tagged archie manning, arizona state, bill frakes, eli manning, john mcdonough, ole miss, oxford, peyton manning, si magazine, sports, sports illustrated. Bookmark the permalink.